Are you looking for a cheap vending machine? Are you looking to break out into running a vending machine business and would rather start by purchasing a cheap vending machine which will kick start your company? Are you looking to expand your vending machine company but want a cheaper machine to do the trick? Then at Pure Food Systems we can help. We stock an amazing range of cheap vending machines amongst our extensive range of vending machines which we kept stocked in our warehouses. In fact, we have more than 3000 machines in stock at any one time. We really are the best company when it comes to finding cheap vending machines for sale. Why not pop into our warehouse to have a look at which machines we have in stock at the moment? If you cannot find the machine you want and need help searching for the right vending machines at the right cost, even if the cost is cheaper than a new or even a refurbished machine then do not hesitate to call us. 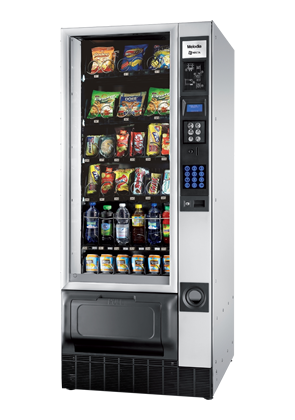 Due to our experience and our great connections within the vending machine marketplace, we are able to source machines from all over the country and even abroad so we can find the machine for you.